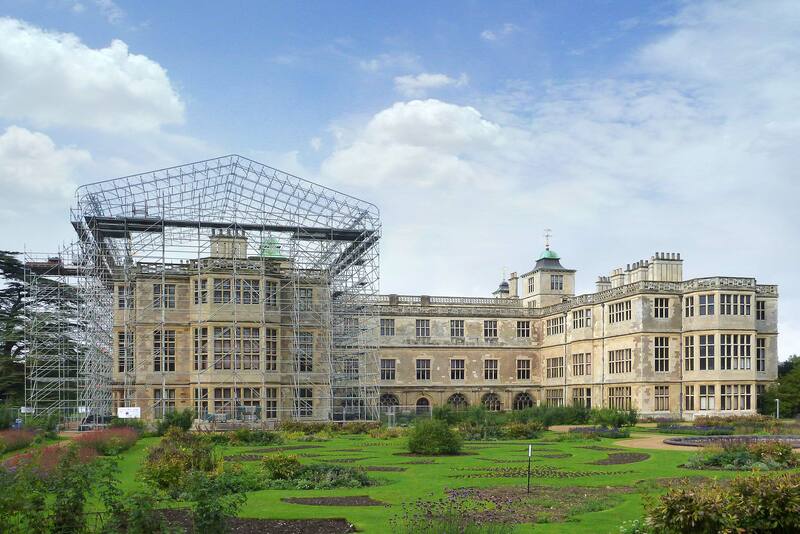 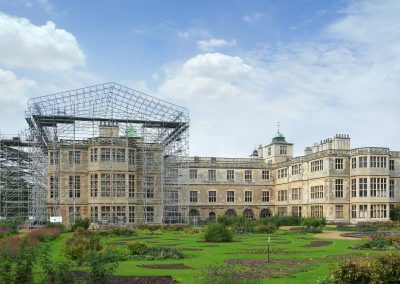 Connect Scaffolding Ltd. has provided access and weather protection at Audley End House near Cambridge – its second phase project at the site. 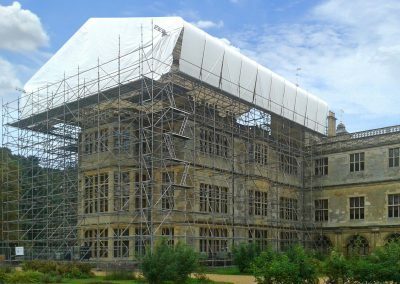 Using Layher Allround, the freestanding structure was created to provide access to key features of the house on the rear elevations for restoration work. 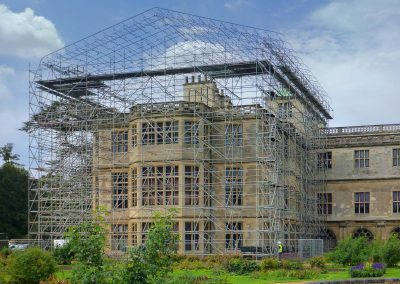 “The system meant that works could be carried out on all levels with unimpeded access,” says Oliver Cave, Connect Scaffolding’s Managing Director. 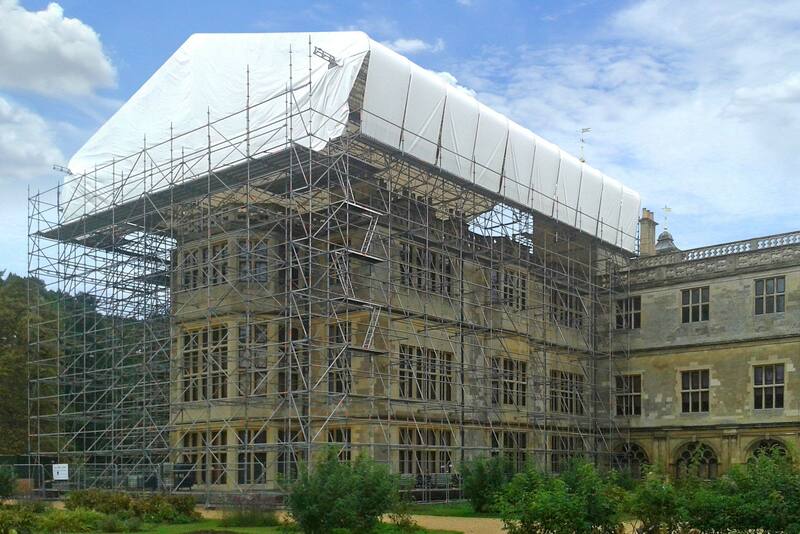 A non-load bearing covered gulley, that runs around the entire perimeter, also saw a 700mm cantilever installed on the inside to provide sufficient load capacity for the stone repairs to be carried out. 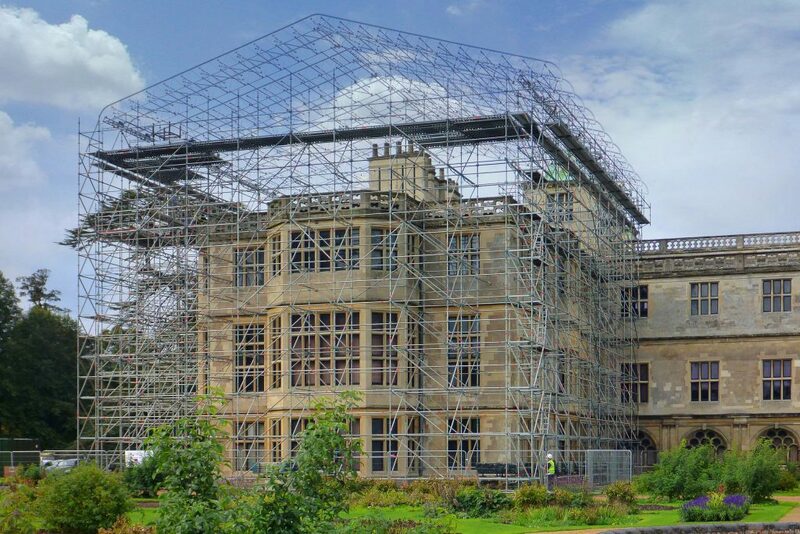 “We utilised 0.73m console brackets which made this relatively easy to achieve while still providing for 3.0kN/m2 live load capacity,” adds Terry Watling, Connect Scaffolding’s Project Supervisor.